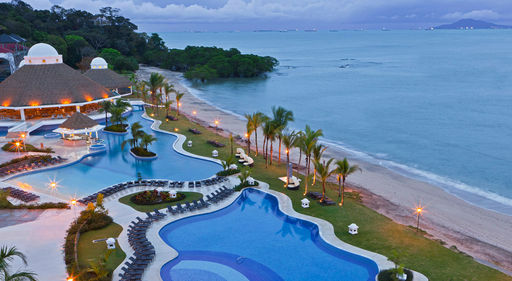 Known for its breathtaking attractions, exotic rainforests, and alluring beaches, Panama connects both North and South America while channeling a distinct mixture of old-world charm and modern sophistication. 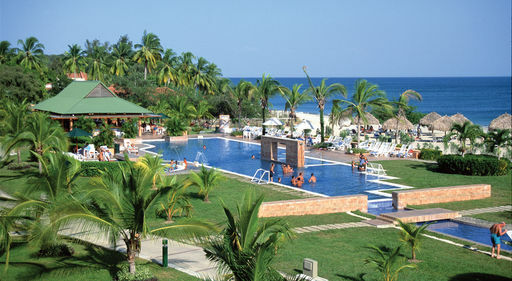 Travel to Panama City, with its contemporary buildings and cosmopolitan ambiance, walk along the beach area, studded with a number of posh homes belonging to the area's most exclusive residents, or explore the Panama Canal rainforests, filled with over 700 species of wildlife and beautiful vegetation. Sharing its borders with Panama is Colombia, with its amazing tropical climate, magical landscapes, and endless opportunities for adventure. Along the Caribbean coastline of Colombia is the port city of Cartagena – a UNESCO World Heritage Site that continues to remain an incredibly well-preserved ancient city, as well as a popular destination for beach lovers, thrill-seekers, and history buffs! 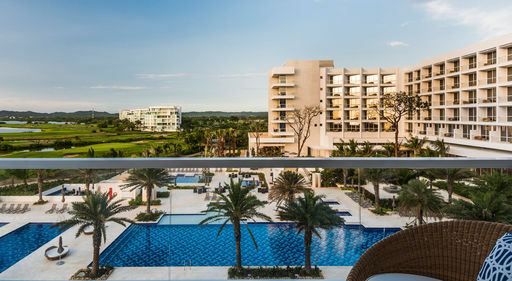 Enjoy an on-site 18-hole golf course, non-motorized watersports, and more! Based on double occupancy, includes gov't taxes & fees. Price is per person from Orlando on Spirit Airlines. 5nts travel (WE) Oct 10-31, 2018. Prices will vary for other departure cities. Includes $385 in resort credits per room (restrictions apply)! Based on double occupancy, includes gov't taxes & fees. Price is per person from Los Angeles on Copa Airlines. 5nts travel (MO) Aug 20-27, 2018. Prices will vary for other departure cities. Includes buffet breakfast daily! Family-friendly amenities include three freshwater infinity pools and supervised programs for children! Based on double occupancy, includes gov't taxes & fees. Price is per person from Boston on Copa Airlines. 5nts travel (WE) Sep 5-26, 2018. Prices will vary for other departure cities. Includes $200 in resort coupons per room! Apple Dine Around Exclusive: Enjoy a complimentary off-site dinner at Tio Navaja in Casco Viejo with a 7 night stay in the Preferred Club Deluxe room category or a 5 night stay in the Preferred Club Junior Suite or higher room category (valid for new bookings made through July 31, 2018 for travel through Oct 31, 2018; visit the Gamboa Tour Desk for reservations/restrictions)! Based on double occupancy, includes gov't taxes & fees. Price is per person from Chicago O'Hare on Copa Airlines. 5nts travel (TU) Aug 21-Oct 23, 2018. Prices will vary for other departure cities. 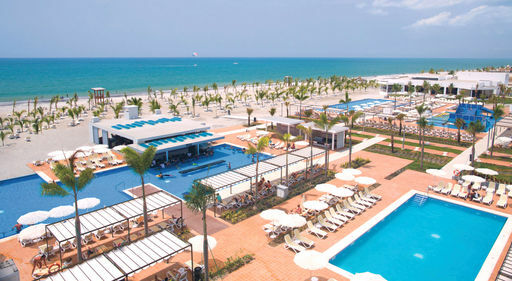 Enjoy beautiful beaches, swimming pools for children and adults, and unforgettable dining! Based on double occupancy, includes gov't taxes & fees. Price is per person from New York JFK on jetBlue Airlines. 5nts travel (SU) Sep 16, 2018. Prices will vary for other departure cities. 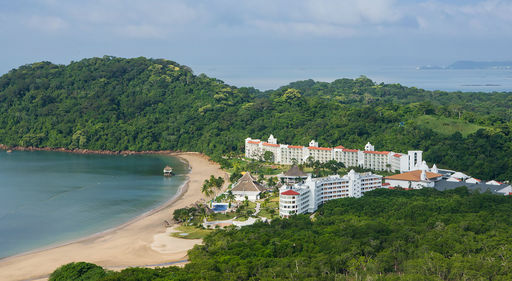 Features a golf course, spa, beach club, fully-equipped fitness center, and four beachfront pools! Based on double occupancy, includes gov't taxes & fees. Price is per person from Chicago O'Hare on Spirit Airlines. 5nts travel (FR) Sep 7, 2018. Prices will vary for other departure cities.